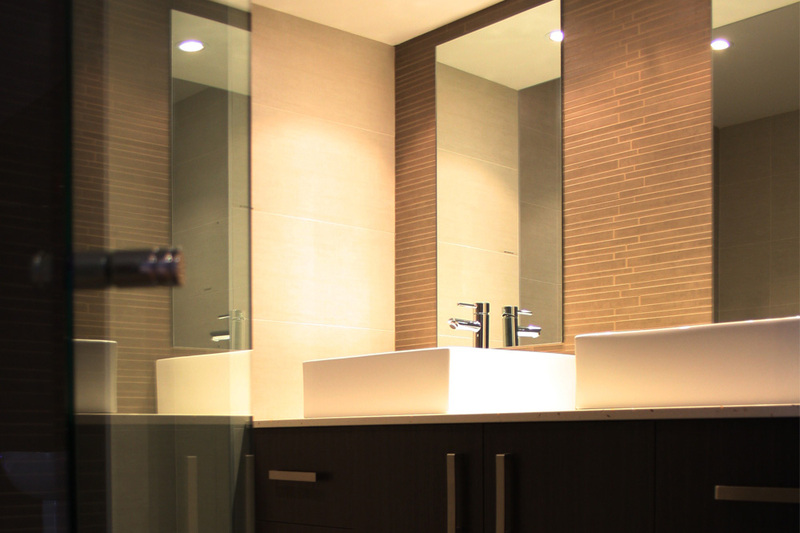 Erina 03 | Custom Bathrooms | Central Coast bathroom renovations – Modern bathroom ideas. Showcasing a contemporary combination of colour and form, this particular display highlights the design possibilities of a Custom Bathrooms renovation. This beautiful custom made wall mounted vanity with a stylish and durable stone top is the focal point of this space. This vanity has been accentuated by a bulkhead that provides excellent lighting and an interesting architectural feature.